Leading Manufacturer of modular storage container, modular accomodation cabin and pre engineered accommodation block from Thane. Owing to the expertise of our professionals, we have emerged as the foremost organization of an excellent quality array of Modular Storage Container that is extensively used in engineering and construction sites. We assure advanced and reliable products which are portable, sustainable and are provided with proper ventilation. In tune with different requirements of our copious clients, we customize the entire range in various sizes. 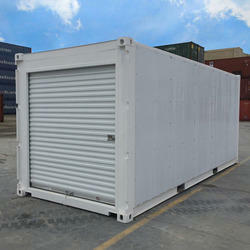 Our offered container has gained exceptional value amongst our clients for its defined features. We have marked a distinct and dynamic position in the market by providing a high quality array of Modular Accomodation Cabin. 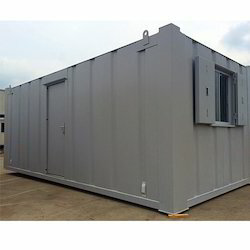 Our offered cabin is mainly used at working sites for making temporary accommodation and is availed in a variety of sizes, dimensions and other such specifications to choose from. 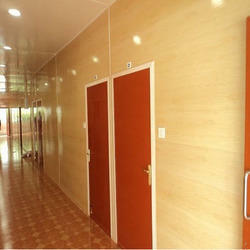 This cabin can also be availed from us at the industry leading prices.